Why is CA BRN too picky? Hello everyone. I am new to this site and it seems as if there is some discrimination as it relates to foreign RNs. I am a PERMANENT RESIDENT who is about to become a NATURALIZED CITIZEN. When I did my nursing, it was in ENGLISH, both written and taught. We do not have online nursing schools in the Bahamas. We were taught by RNs and not just RNs with little experience. These people had over 20 years of nursing under their belts and they in turn were trained from the best of the best in England. I remember being in class for the first 8 weeks, M-F, 8-4:30, with test every week and you had to pass with 70 or higher. Next was the first set of clinical rotations which was anywhere from 8-12 weeks long. We had practical exams on vital signs, bed baths and bed making and you had to do them properly or you would surely have failed. The aseptic technique assessment was even worse. If you contaminated that tray and were unaware of it, they would let you continue and at the end of it all, politely tell you that you failed. 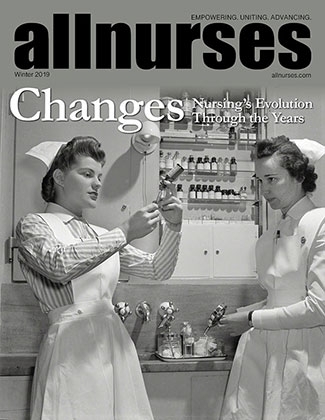 We rotated in EVERY AREA of nursing. No area was left out. I passed my board exams the first time I took them and also my NCLEX. My transcript has my clinical and theoretical hours for each of the areas I rotated through. So be careful and try not to make it seem as if all FOREIGN nurses do not receive the education which is equivalent to a US education, because I can only speak for the ones from the Bahamas. I came here through the right and proper channels and have worked in TX, NM, VA, SC, GA, AZ AND TN. If I have offended anyone then I do humbly apologize.